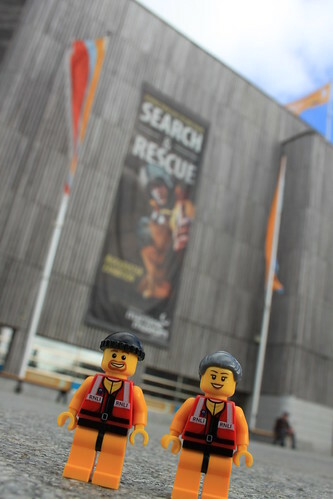 While they were down in Falmouth, the Crew couldn’t resist popping in to the National Maritime Museum Cornwall, which is situated on the waterfront just a stone’s throw away from the lifeboat station. 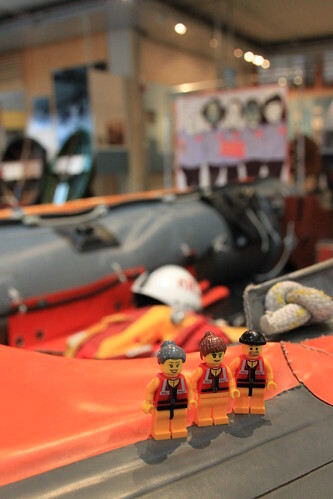 Our visit was even more exciting because the museum is currently hosting an exhibition all about search and rescue, including the work of the RNLI. 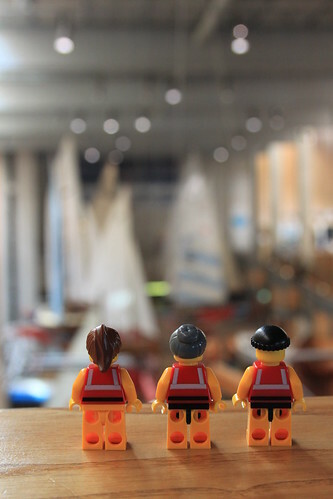 Inside the museum, the Crew were overawed by the number of boats on display. From motor launches to Olympic sailing dinghies, there was something for everyone. There was even Frank Dye’s 15′ 10″ (4.85m) Wayfarer dinghy ‘Wanderer’, in which he sailed the 650 mile passage from Scotland to Iceland. I spent much of my youth sailing Wayfarer dinghies on the somewhat calmer waters of Poole Harbour, so have a particular soft spot for the class. And now so do the little guys. 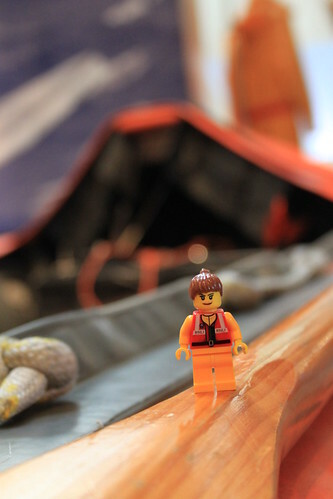 The Crew were particularly taken with the high level of craftsmanship and attention to detail evident in the boats on display, as well as in the on-site boatbuilders’ workshop. Boatbuilding seems to be one of those crafts where doing things right is still more important than doing things cheaply. Which is reassuring, given how much we rely on our various vessels every time we head out to sea. In fact, they were none too pleased when it was time for us to move along to the next exhibit. They’re now more determined than ever to get their hands on a D class of their own. 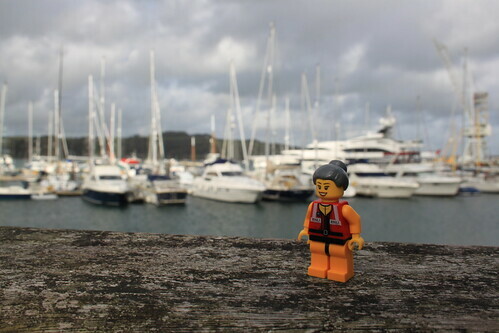 Thankfully, though, the Crew have been invited to visit a couple of RNLI stations with D class boats of their own, so this should help them to get their regular fix for the immediate future. 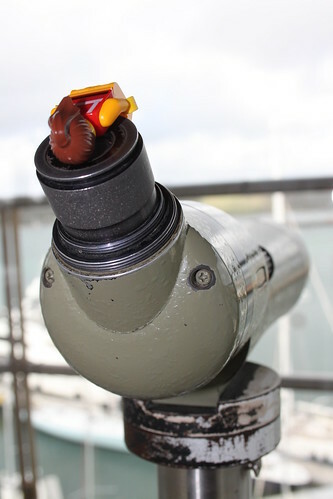 Another highlight of the museum is the observation tower, from which there’s a fantastic view all the way across the harbour. 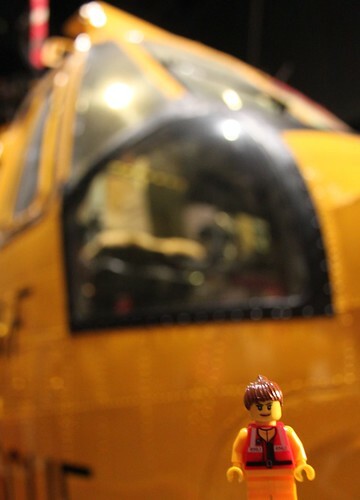 Last time I was there, I met a former RNLI colleague of my dad’s, who was volunteering at the museum. This time, though, we had everything to ourselves. Which was probably all for the best, given the Crew’s penchant to muck about. Erm… is everything supposed to be upside down? I’m not usually a big fan of museums. But I’ll always make an exception for this one. It seems to strike just the right balance between acknowledging the past, celebrating the present and exploring the future. In fact, the same could probably be said for the whole town of Falmouth itself. We really enjoyed our visit and can’t wait to go again. * It’s far smaller inside than you would expect. Like an inverse TARDIS. 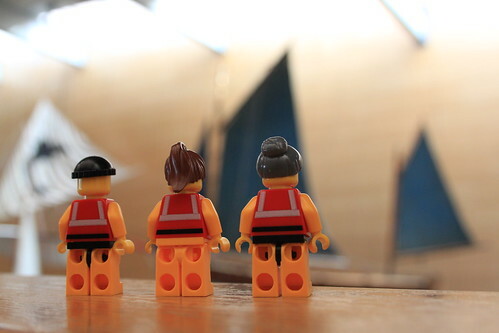 This entry was posted in Out and about and tagged Falmouth, Lifeboats, National Maritime Museum Cornwall, RNLI, The Lifeboat Crew by Simon Perks. Bookmark the permalink.